← Buster Keaton, The General, and Animal House? 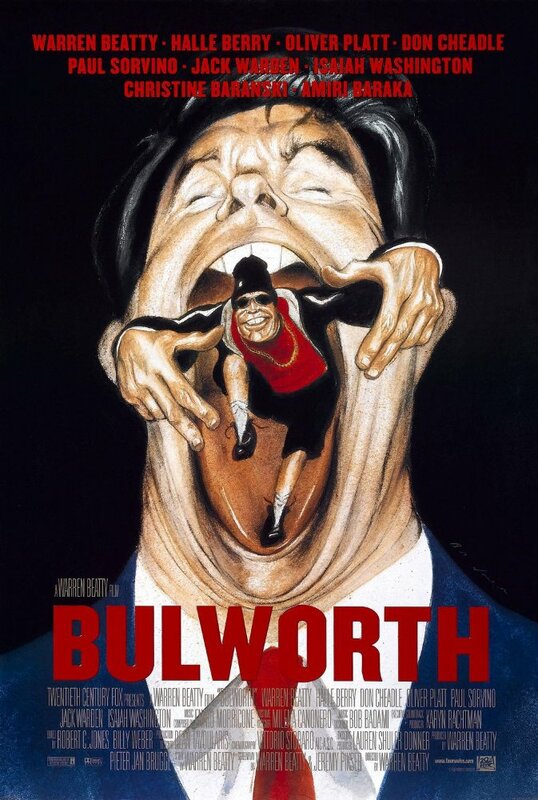 Early on Bulworth chastises a black congregation to wake up, confessing that neither party serves their community because politicians only respond to well-funded lobbyists and huge donations. 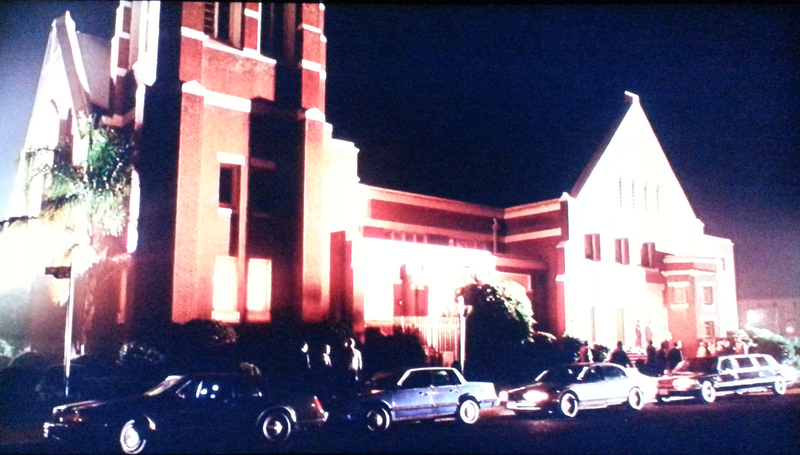 Bulworth’s terrified campaign manager ends the debacle by pulling the fire alarm and hustling Bulworth out of the church. 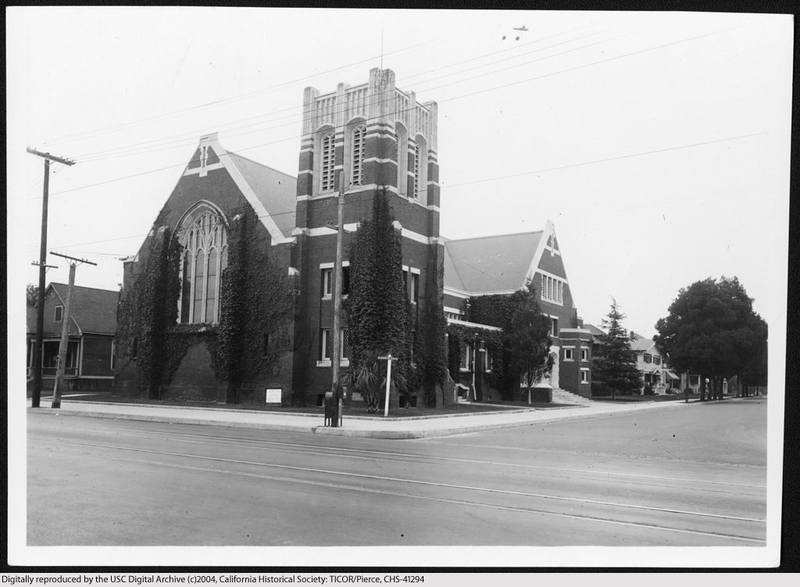 The church presented in the film is the same church Buster Keaton used seven decades earlier for his pre-marital comedy Seven Chances (1925). 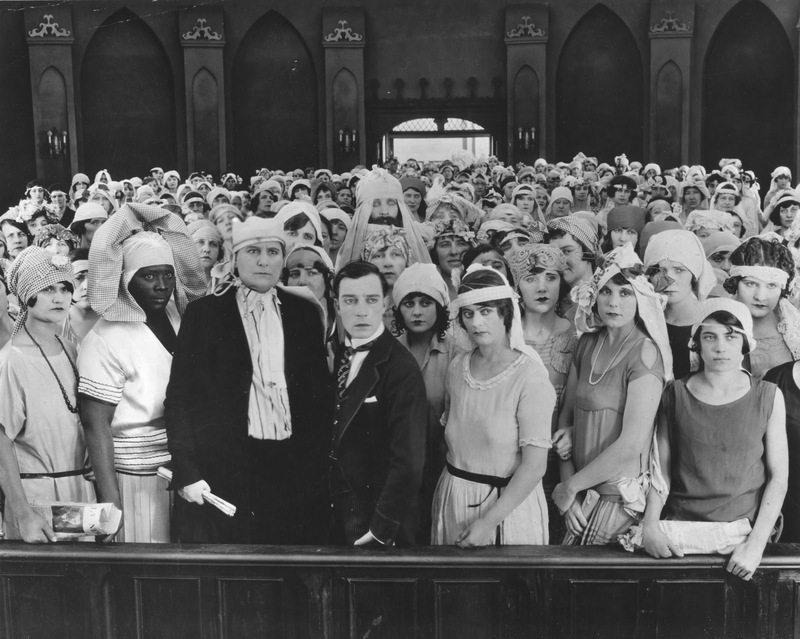 In that film Keaton must marry by 7:00 p.m. in order to inherit a fortune, and after bungling a proposal to his long-time girlfriend, resorts to placing a front page notice in the newspaper, prompting hundreds of would-be brides to appear at the church. 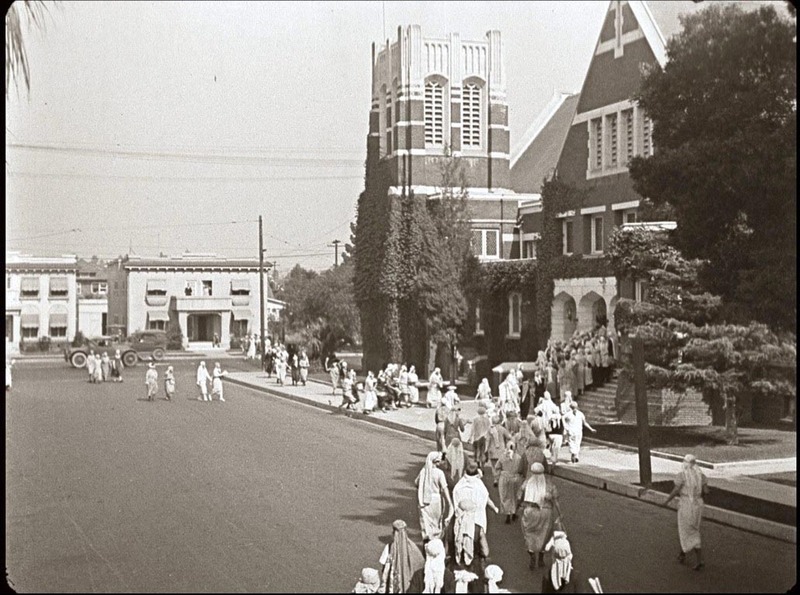 Built in 1906, the former West Adams Methodist Church, now the Greater Page Temple, stands proudly as ever at 2610 La Salle Avenue. 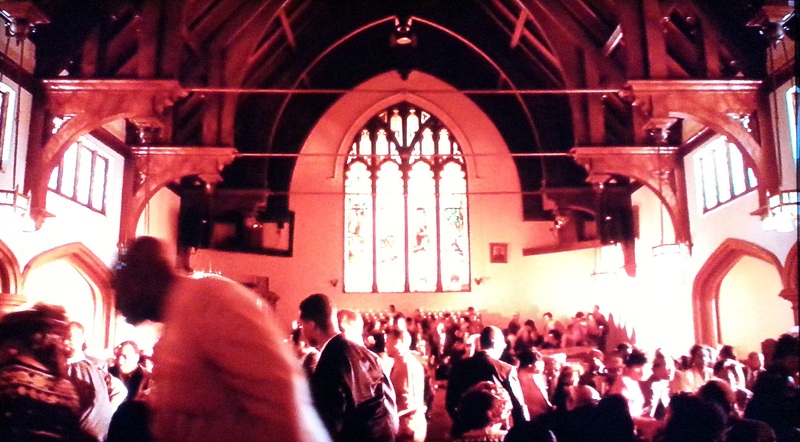 While Bulworth staged a lengthy sequence inside the beautiful church, Buster filmed his church interiors on a roofless set draped overhead with muslin cloth to diffuse the bright sunlight. Buster in a specially built church interior set – it had no roof. The late Mrs. Eleanor Keaton on the steps of the Seven Chances church. She joked that whereas hundreds before her had failed, she was the one woman to actually marry Buster. I write extensively about the locations appearing in Seven Chances in my book Silent Echoes, and prepared a visual essay about it as a bonus feature to the Kino-Lorber Blu-ray release of the film. This post shows other locations, and this post shows how Buster filmed a scene close to his studio. This entry was posted in Buster Keaton, Seven Chances and tagged Bulworth, Buster Keaton, Keaton Locations, Silent Comedians, Silent Movie Locations, Silent Movies, then and now, Warren Beatty. Bookmark the permalink. 2 Responses to Buster Keaton, Seven Chances, and Warren Beatty? So excited to find this blog. I love finding places where movies were filmed, especially silent films, the older the better. This love started from a quest to find the big “W” from “Its a mad, mad, mad, mad World.” I was sad to find out it had been demolished. I was just watching “It” with Clara Bow wondering what harbor they filmed the beach and boat dock scenes at. I thought maybe Long Beach thinking I saw Signal Hill in the background. Oh well, thanks for creating this! Thanks Zen. I’m not certain where the water scenes were filmed, but Long Beach harbor is fairly flat. Maybe they filmed up the coast past Malibu. The “Coney Island” fun house scenes were filmed at the Ocean Park fun house in SoCal, the same place Harold Lloyd filmed his “Coney Island” fun house scenes for Speedy. There are a few street scenes filmed on Olive across the street from the Biltmore Hotel.